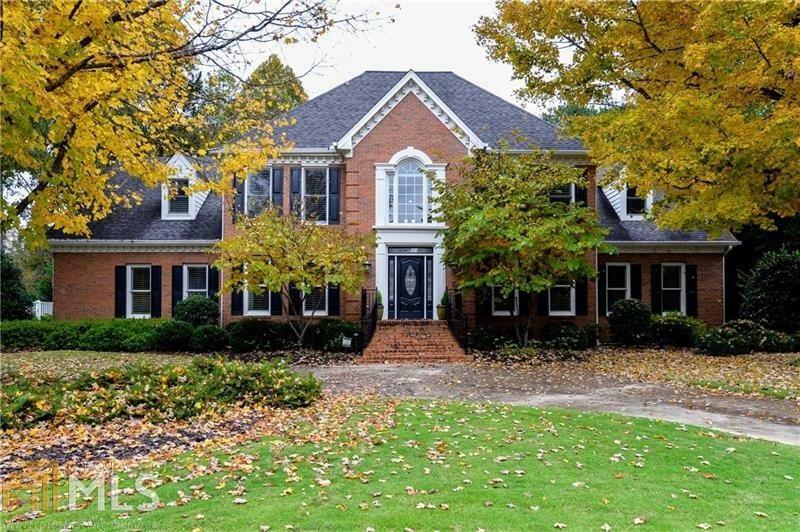 Stunning "All Brick" Masterpiece located in PRESTWICK, one of Johns Creek&apos;s most sought-after Kid-Friendly neighborhoods. Adj. to AAC property w/level/fenced/private Bkyard. Recently added stone patios & gazebo, perfect for any party! Gourmet kitchen opens to Sunroom and view of Family Room. Master Suite up w/Sitting Room, perfect for Office or Nursery. Recently renovated Luxury Bathroom, w/Custom Vanities, Tiled Shower and Footed Tub. 3 additional spacious Bedrooms up, all w/walk-in closets. Terrace Level In-Law Suite w/Entertaining Bar Area and Full Function Kitchen.